A new study in nonhuman primates finds abnormal embryos can result in successful in vitro fertilization. The chromosomal abnormality aneuploidy, in which cells have more or fewer than 46 chromosomes, is linked to miscarriage, birth defects and mosaicism. Because of those risks, mosaic embryos, those with both normal and abnormal cells, have not been considered ideal candidates for IVF transfer. A new study led by Shawn L. Chavez, Ph.D., is the first to confirm in a nonhuman primate model that mosaic embryos can adapt to their abnormalities and persist in development, resulting in positive IVF outcomes. 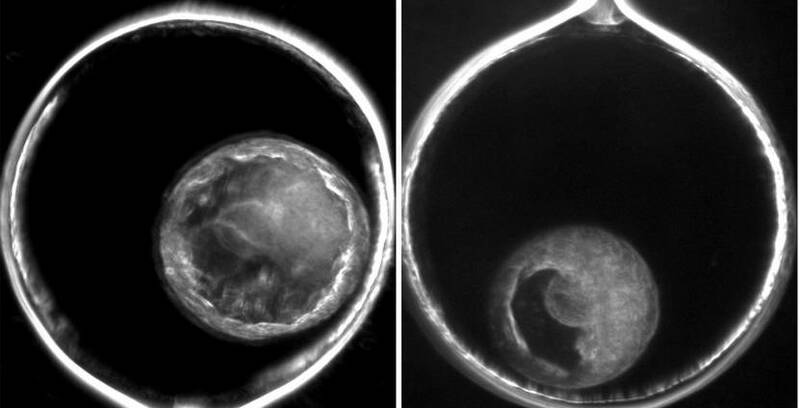 The team used advanced time-lapse imaging and single-cell sequencing techniques to precisely track the development of mosaic embryos of a rhesus macaque. The findings published in the March 2019 issue of Genome Research. Read more about the study on OHSU News. Hear an interview with lead author Shawn Chavez on OHSU Week.